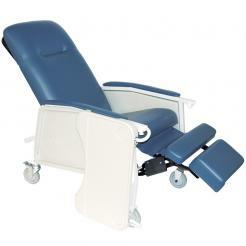 The Drive Medical 3 Position Heavy Duty Bariatric Geri Chair Recliner is an extra strong bariatric model Geri Chair designed to allow you to get out the restrictions of your bed and gain independence and improve your quality of life similar to other Mobility Aids. 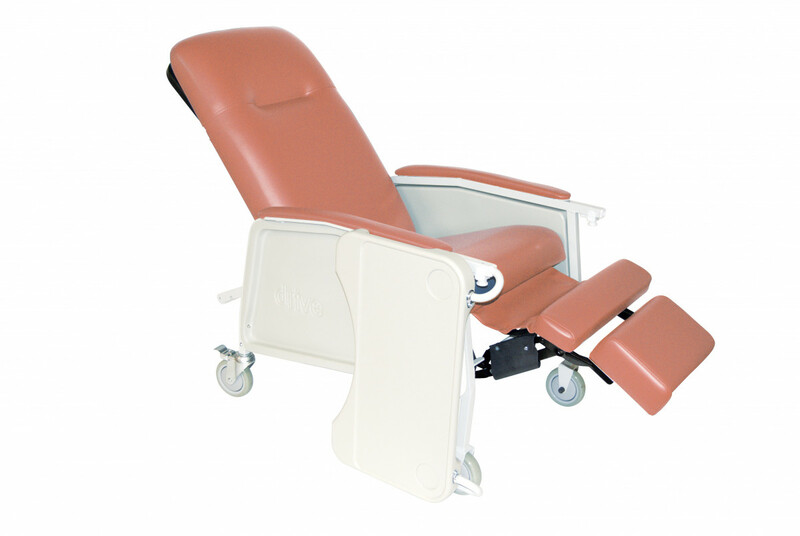 It features a built-in headrest, and wide, comfortable armrests which are angled to provide maximum support in any reclined position. With a weight limit of 500 pounds this heavy duty Geri Chair recliner has three comfortable positions, upright, a deep recline position, or with the leg rest/footrest elevated. 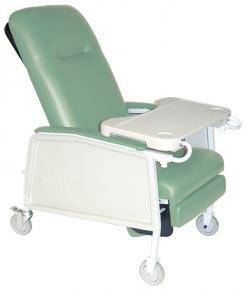 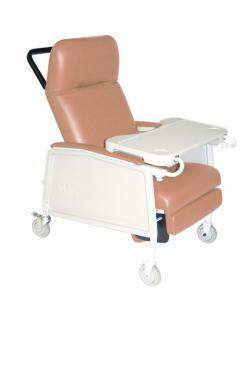 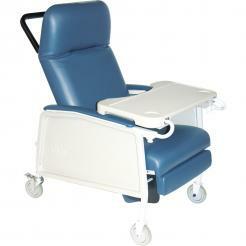 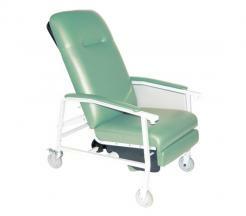 There is also a retractable lock bar which secures the chair in your chosen position. The Drive 3 Position Heavy Duty Bariatric Geri Chair Recliner also includes self-adjusting suspension, and it has a moisture barrier applied in the seat. The suspension keeps the user from bottoming out when weight and pressure are applied to the seat, and the moisture barrier on the seat prevents seepage. 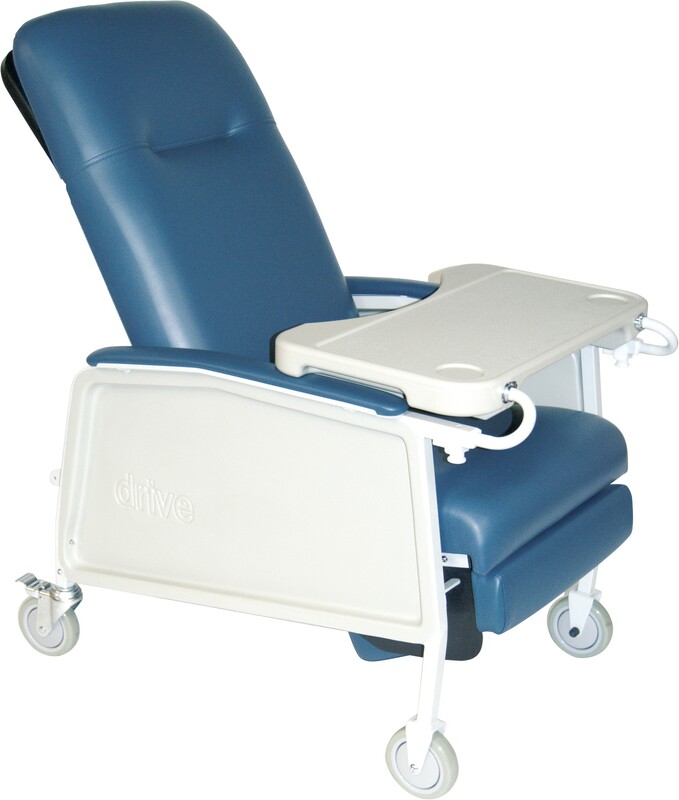 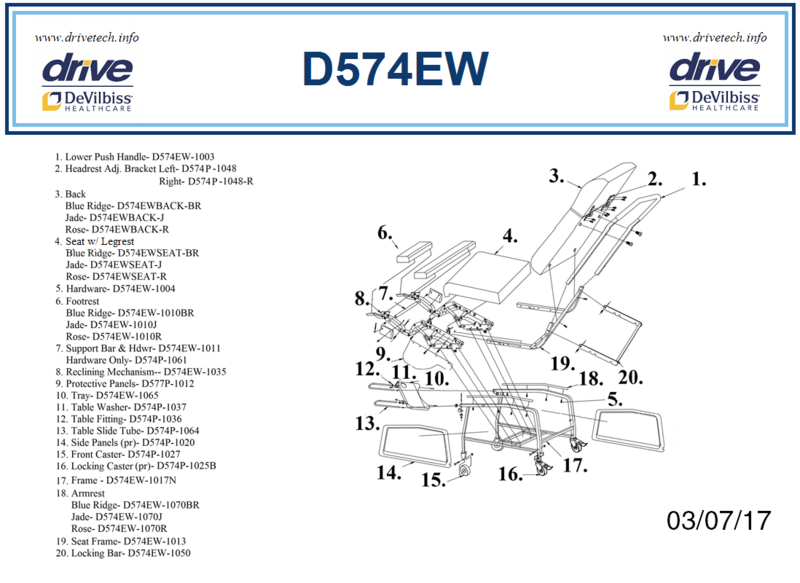 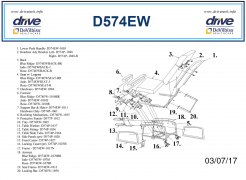 The Drive Medical D574EW Series 3 Position Heavy Duty Bariatric Geri Chair Recliner comes complete with 5-inch caster wheels, the two wheels in the rear feature brake locks that can be pressed down to secure the recliner in place. There is also a large blow molded tray attached to the recliner. For added flexibility, this tray can be locked in 5 different positions and it can also be stored on the side of the chair when not in use.